11 A None No Power Seat 11 A is an Economy seat that may have limited recline due to the Exit Row behind. 11 B None No Power Seat 11 B is an Economy seat that may have limited recline due to the Exit Row behind. 11 C None No Power Seat 11 C is an Economy seat that may have limited recline due to the Exit Row behind. 11 D None No Power Seat 11 D is an Economy seat that may have limited recline due to the Exit Row behind. 11 E None No Power Seat 11 E is an Economy seat that may have limited recline due to the Exit Row behind. 11 K None No Power Seat 11 K is an Economy seat that may have limited recline due to the Exit Row behind. 12 A None No Power Seat 12 A is an Economy Exit Row seat that has extra legroom. There is no floor storage for this seat during takeoff and landing. 12 B None No Power Seat 12 B is an Economy Exit Row seat that has extra legroom. There is no floor storage for this seat during takeoff and landing. 12 C None No Power Seat 12 C is an Economy Exit Row seat that has extra legroom. There is no floor storage for this seat during takeoff and landing. 12 D None No Power Seat 12 D is an Economy Exit Row seat that has extra legroom. There is no floor storage for this seat during takeoff and landing. 12 E None No Power Seat 12 E is an Economy Exit Row seat that has extra legroom. There is no floor storage for this seat during takeoff and landing. 12 K None No Power Seat 12 K is an Economy Exit Row seat that has extra legroom. There is no floor storage for this seat during takeoff and landing. 24 C None No Power Seat 24 C is a standard Economy seat, however, the close proximity to the lavatories may be bothersome. 24 D None No Power Seat 24 D is a standard Economy seat, however, the close proximity to the lavatories may be bothersome. 25 A None No Power Seat 25 A is an Economy seat in the last row of the plane and may have limited recline. The close proximity to the lavatories behind may be bothersome. 25 B None No Power Seat 25 B is an Economy seat in the last row of the plane and may have limited recline. The close proximity to the lavatories behind may be bothersome. 25 C None No Power Seat 25 C is an Economy seat in the last row of the plane and may have limited recline. The close proximity to the lavatories behind may be bothersome. 25 D None No Power Seat 25 D is an Economy seat in the last row of the plane and may have limited recline. The close proximity to the lavatories behind may be bothersome. 25 E None No Power Seat 25 E is an Economy seat in the last row of the plane and may have limited recline. The close proximity to the lavatories behind may be bothersome. 25 K None No Power Seat 25 K is an Economy seat in the last row of the plane and may have limited recline. The close proximity to the lavatories behind may be bothersome. 3 A None No Power Seat 3 A is a standard Business seat, however, noise from the more crowded economy cabin may be bothersome. 3 C None No Power Seat 3 C is a standard Business seat, however, noise from the more crowded economy cabin may be bothersome. 3 D None No Power Seat 3 D is a standard Business seat, however, noise from the more crowded economy cabin may be bothersome. 3 K None No Power Seat 3 K is a standard Business seat, however, noise from the more crowded economy cabin may be bothersome. 7 A None No Power Seat 7 A is an Economy bulkhead seat that may have limited legroom. There is no floor storage for this seat during takeoff and landing. The A319 operates in a two class configuration with 12 Business Class seats and 108 Economy Class seats. I will never fly Avianca again. This was the worst flight of my life and I have flown a lot. If this was business class I pity the economy class. I chose this seat because it was recommended by others. The seat was paper thin and did not recline except for slightly more than an economy seat. The flight was 4 hours late with no explanation, boarding was a free-for-all, flight attendants ignored us, the "entertainment" selection was pitiful and you had to watch it on your ipad. I could go on but you get the point. 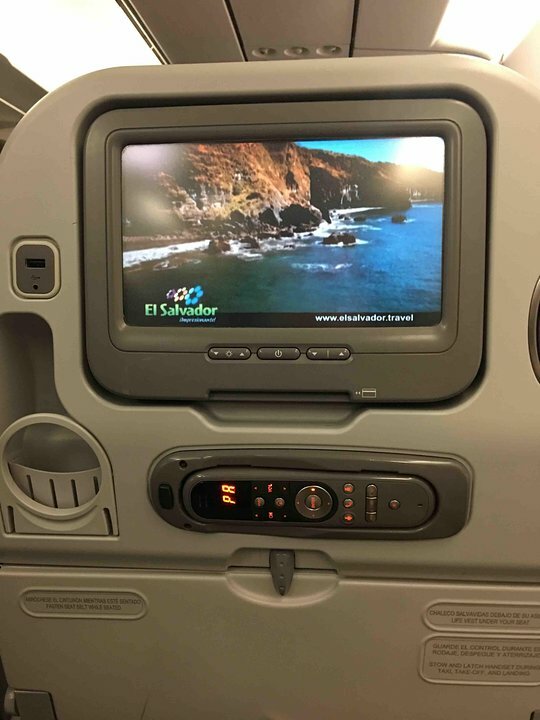 Very nice leather seats , large screen, usb charger, cool ! Business ?? It is like an old bus. Seat reclines minimum . There is no leg support . Mine were in the air. A FAKE business!! Payed for nothing and had 3 days of backpain!! Its a double whammy. This seat doesn't recline, there isn't even a button on the arm-rest and then the seat in front of you has recline. 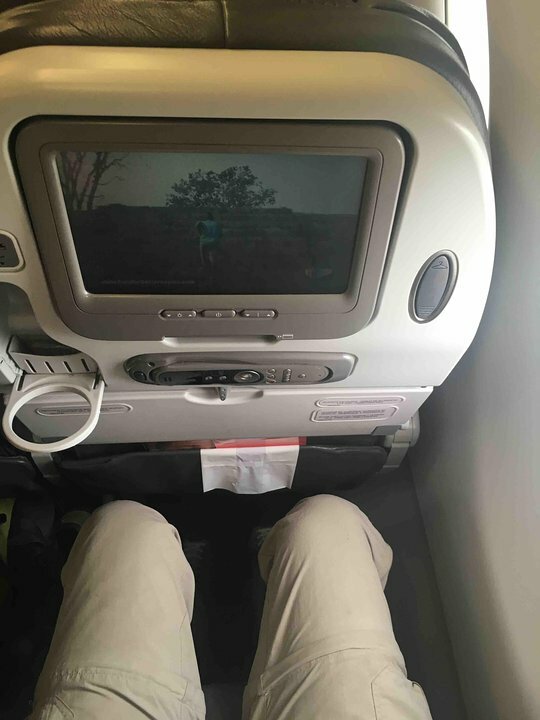 Viewing the seat-back screen becomes more difficult for taller people when the seat is reclined in front of you. 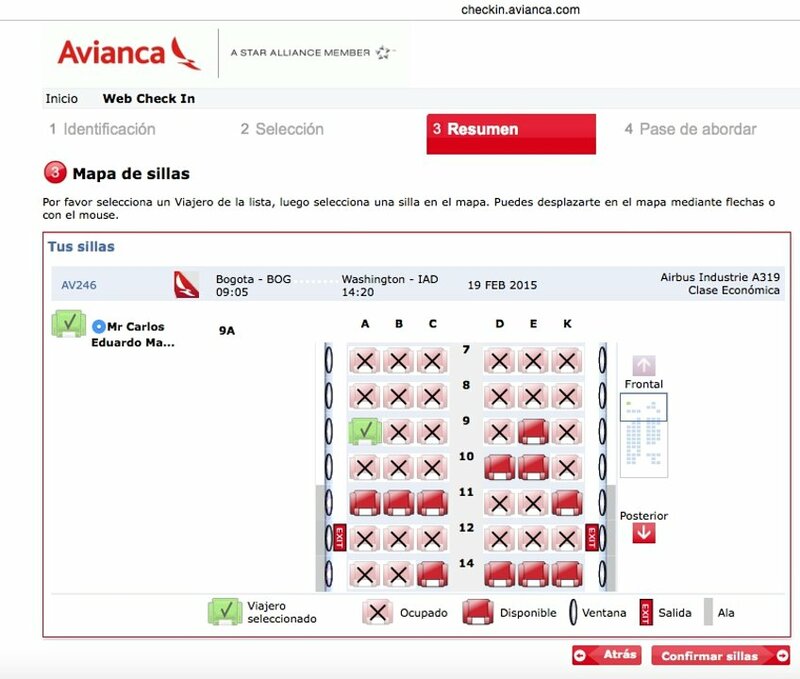 Avianca flies 1 versions of Airbus A319 (319).